2 years ago today, little Miracle Mack stole the show at the CMN Telethon. 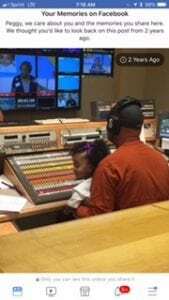 She hopped on the lap of ABC12 director, Tom Spurlin, pushing buttons and calling the shots on live TV. It was a great moment and everyone loved it – and her. When Miracle was born, she was given only a 2 percent chance of survival. She was born 18 weeks early and weighed only 14 ounces. The challenges she had to overcome in the neonatal intensive care unit were overwhelming and seemed endless. She suffered convulsions, chronic lung disease, jaundice, underactive thyroid and poor muscle tone, just to name of few. 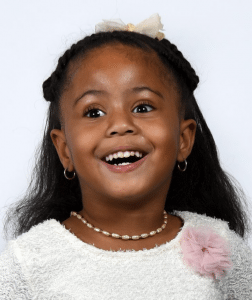 Miracle’s fighting spirit, combined with excellent medical care and her family’s endless support, resulted in her overcoming every hurdle and then some. Her parents led the charge, believing in their baby’s progress and convincing the medical team by their faith. This now healthy, happy 4-year-old is truly a “Miracle”. This weekend, Miracle Mack will represent Hurley Children’s Hospital at the 27th annual Speedway Miracle Tournament. She will be treated like a princess, like a normal child, like part of the team. We are so proud of her and thankful she can represent our hospital and the miracles that happen here daily. We thank Speedway for welcoming Miracle Mack and for everything they do raising funds for Children’s Miracle Network Hospitals. We believe in Miracles. We see them everyday. Keep calling the shots Miracle Mack! Previous post: Meet our 2018 Speedway Miracle Kid!